When we were in Napa a few weeks back, Dave was able to score a pretty good deal on a case of 2006 Cosentino “The Cab”. Since he is not home during the day he has his wine shipped to Chris’ office. Last Friday Dave’s case of wine showed up. We called Dave and he and Heather came over that evening to pick it up. Prior to coming over Dave asked me to put one in the cooler so we could sample it. The bottle was holding up well. After we finished it I ran down and grabbed a 2005 “The Franc”. 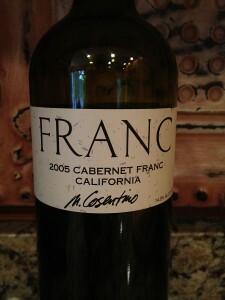 The CAB, The FRANC, and few others are part of THE Wine series at Cosentino Winery. The bottles generally cost in the $22 per bottle or lower range. We have tried all of them and like them. However, the “Winery Ol’ Red” is not a favorite of mine. If you are looking for a bargain wine that is pretty good, this is your series. For some people this one could be considered your drink daily wine. 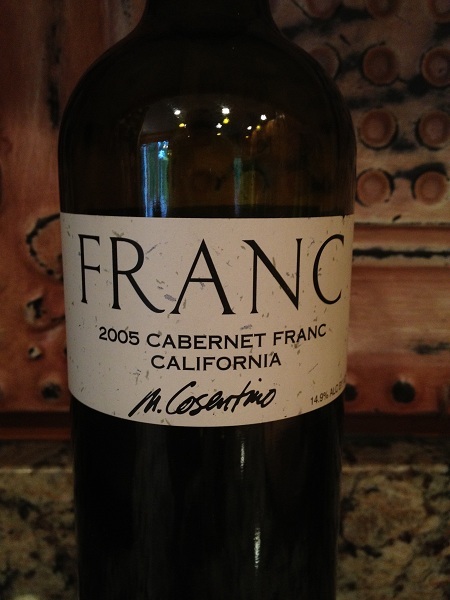 Since the 2006 “The CAB” tasted pretty good I was hoping the 2005 “The FRANC” would too. Reviewing The FRANC the color depth was medium. 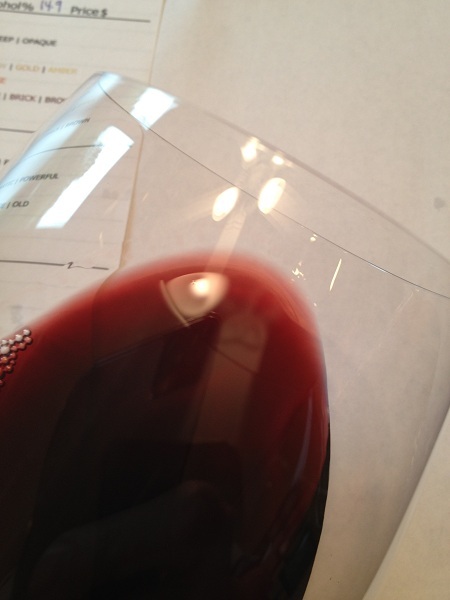 You could see the meniscus was showing age (the edge of the wine was clear to bricky in color). The color was purple and it was fairly transparent. I did not notice any sediment in my glass nor the bottle. Smelling the 2005 FRANC, it was fruity. The aroma was moderate and it smelled a little earthy. Some of the other fruit I could smell was Choke Cherry and ripe red fruit. Tasting the 2005 FRANC it was not dry and was medium bodied. 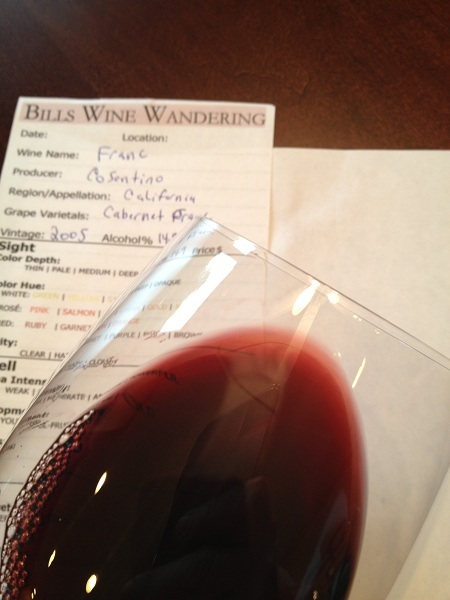 The tannins were weak but I could still detect them through the mid palate. The finish was medium and soft. I could taste Bing Cherry, Plum with a caramel finish. The FRANC was still holding up well! I have to be honest I like drinking older wines and this one was very drinkable to me. If you have any 2005 The FRANC in your cellar I would recommend you drink it now. I’m afraid it could be loosing steam pretty fast and I would hate to see you waste it. Dave and I both rated the 2005 The FRANC three glasses.